It’s such a good feeling to know that spring will soon be here. Depending on where you live, if snow still surrounds you, hopefully things are starting to thaw and signs of new life will soon be bursting forth. But I'm not only a fan of spring for the promise of warmer weather, brighter days, and bursts of color, I also welcome the change in flavors. Lighter fare and fresh vegetables become the star of the table. With spring holidays like Easter and Mother’s Day in my thoughts, I always like to have in mind a few ideas for simple nibbles. 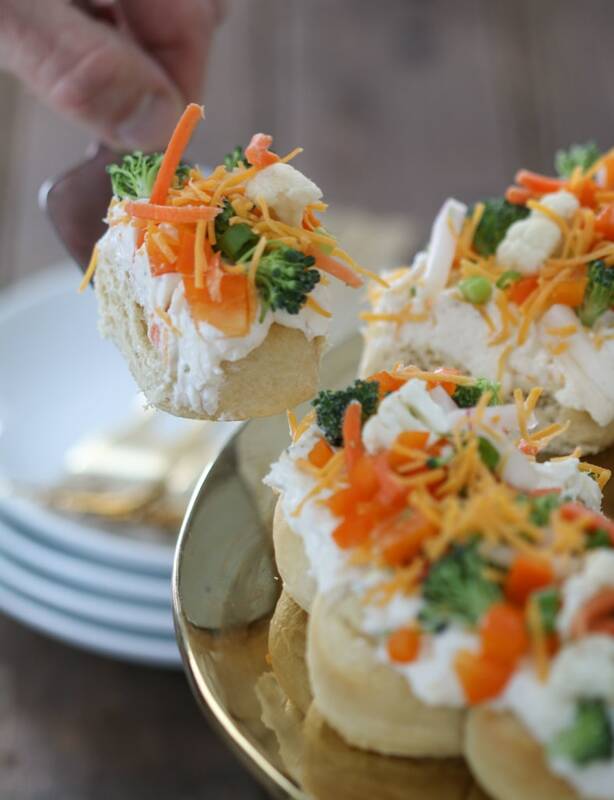 One of my favorite quick and flavorful appetizers is vegetable pizza. Although the base of the dish is pretty standard, you’re free to use whatever vegetables you and your family love. This pizza is also a great way to use up any miscellaneous fresh veggies. Crescent rolls form the crust of this pizza. 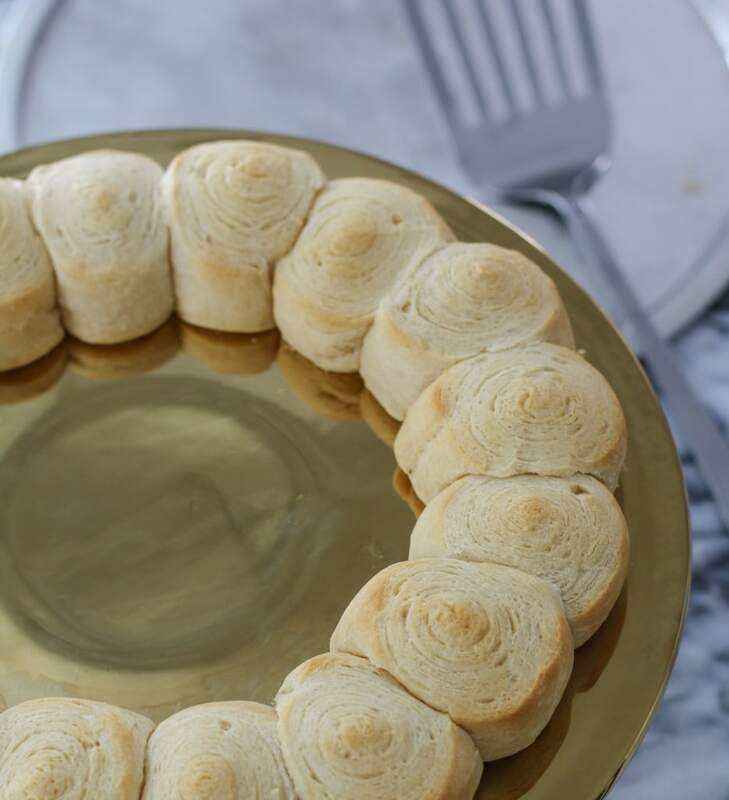 Sliced and arranged in a circular pattern, the rolls create a wreath shape that is perfect for spring. I used a variety of veggies for my pizza including broccoli, cauliflower, orange pepper, green onions, radishes and carrots. I kept things mostly orange and green for a light and fresh look. 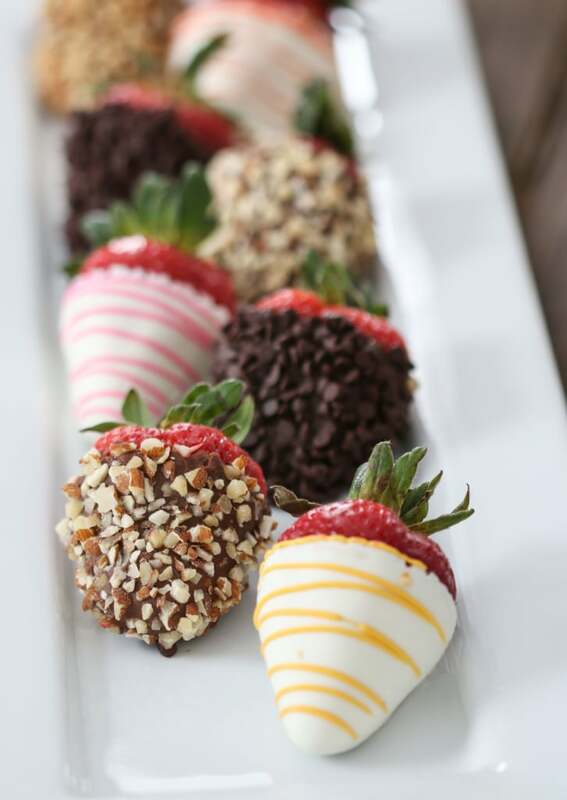 To accompany the pizza, a few sweet treats are a must. Spring Medley Strawberries dressed for spring are a natural choice. Stripes of pink, orange and yellow tie together the colors of my pizza with a simple bouquet of similarly hued flowers. 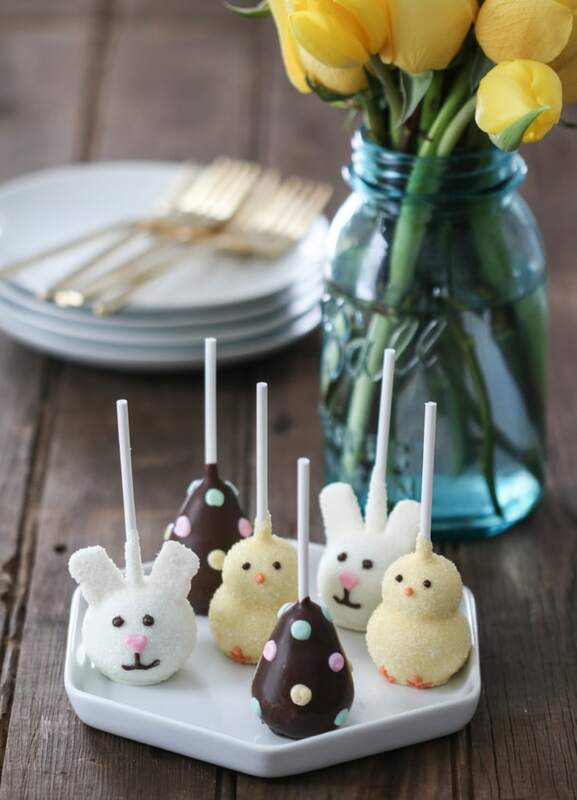 Another adorable and sweet addition to my spring spread are these Easter brownie pops. 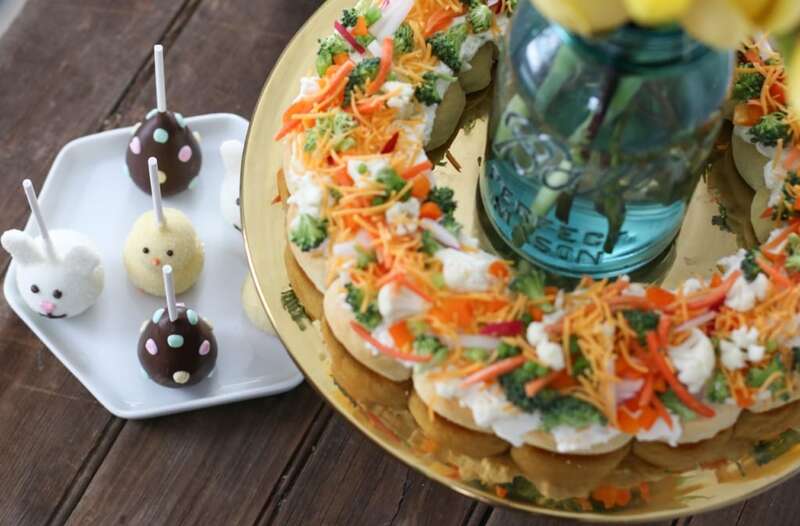 Dressed like baby chicks, bunnies and decorated eggs, these up the cute-factor on any spring party spread. Don’t you agree? 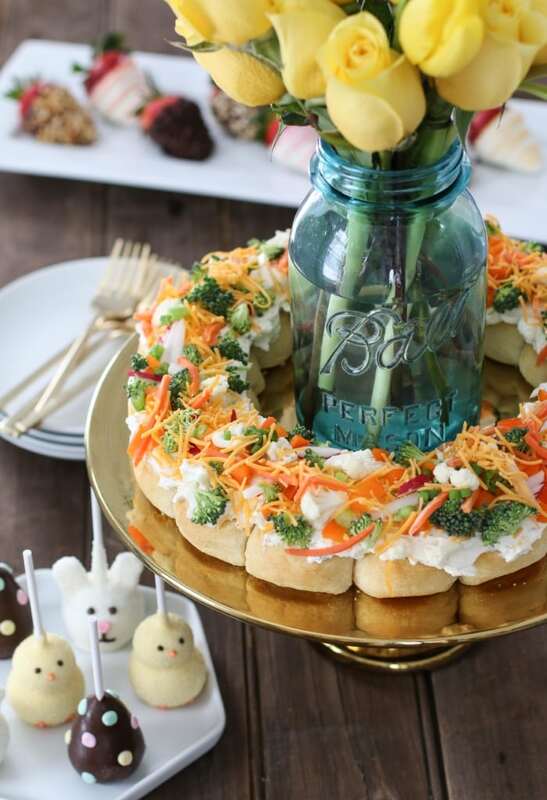 Now, back to that Spring Vegetable Pizza Wreath. Let me tell you how it’s made. Bake for 15–20 minutes or until golden brown. Cool on the pan for at least 5 minutes before carefully removing to a serving plate to cool completely. 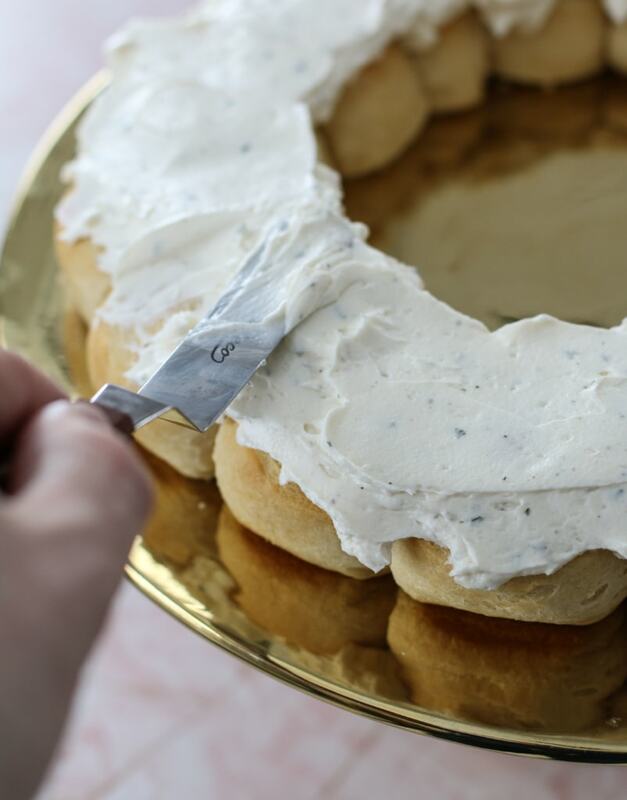 In a small bowl, beat together the cream cheese, sour cream, mayonnaise and ranch dressing mix until smooth. Then, spread this mixture over the baked rolls. Top with assorted vegetables and cheese. Chill for an hour in the refrigerator before serving. Pretty simple, right? 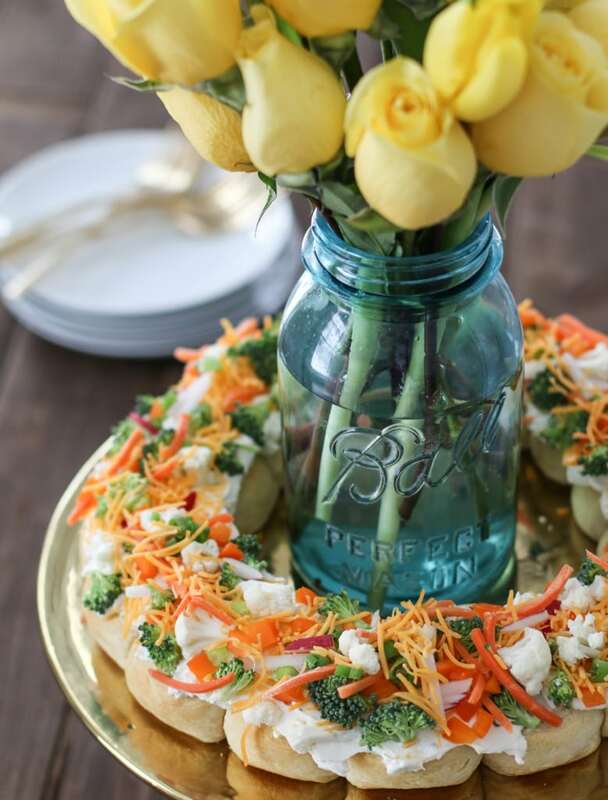 And perfect for spring entertaining. 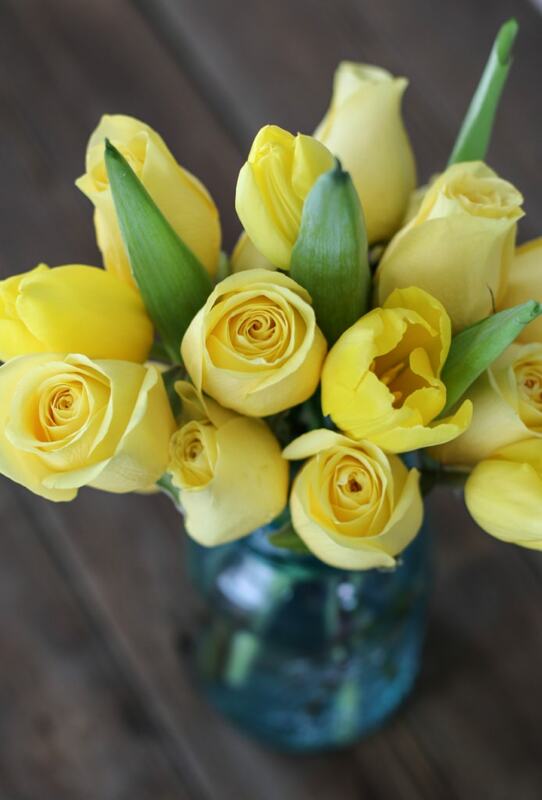 What spring treats do you look forward to? Share your favorites in the comments.